The environmental sciences curriculum is designed to give students the depth of intellectual and analytical skills along with the scholarly background necessary to understand and solve environmental problems. The program is interdisciplinary, drawing upon the resources of many related fields to provide the rigorous analysis necessary to understand environmental problems and formulate decisions that are environmentally sound. The Department of Environmental Sciences offers a Bachelor of Arts, Bachelor of Science, and a Three Plus Two Combination Degree in the Undergraduate Program, and a Master of Science degree. The Bachelor of Arts degree allows students a variety of specialization courses in both social and natural sciences. The Bachelor of Science degree is intended to give intensive training in either the biological or physical sciences. The Three-Plus-Two Program gives students the opportunity to earn a Bachelor of Science degree in Environmental Sciences from the University of North Carolina Wilmington, and a Bachelor of Science degree in Environmental Engineering from North Carolina State University. The Master of Science in Environmental Studies is an interdisciplinary, graduate degree designed for professionals, practitioners, citizens and students who wish to strengthen their knowledge of the environment. 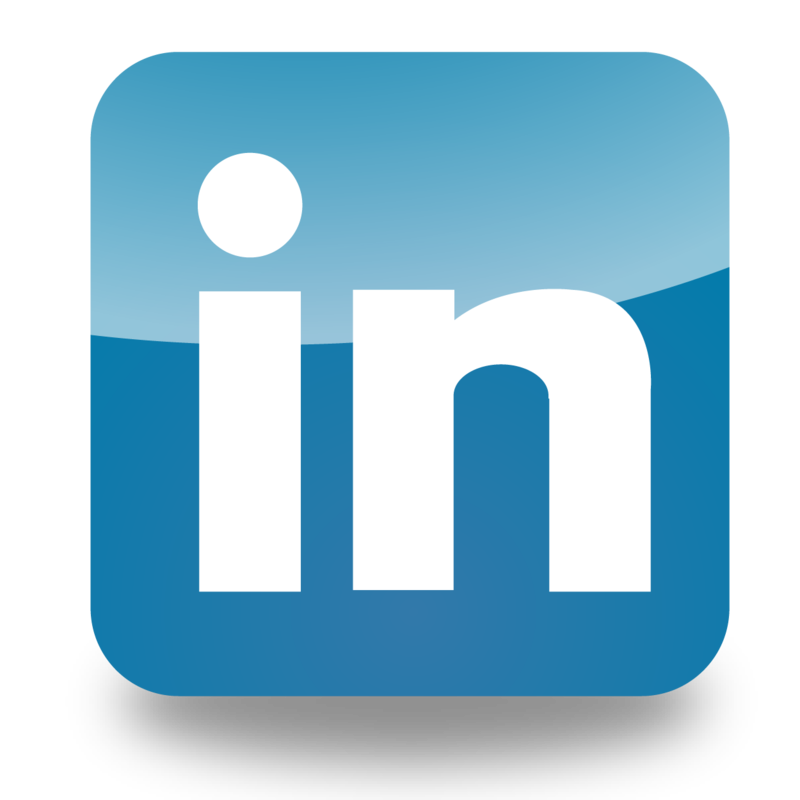 UNCW Environmental Sciences Department is on Facebook and LinkedIn! Check out our pages by clicking the icons above, and give us a "like" and a "connect" to stay current on our events and activities! 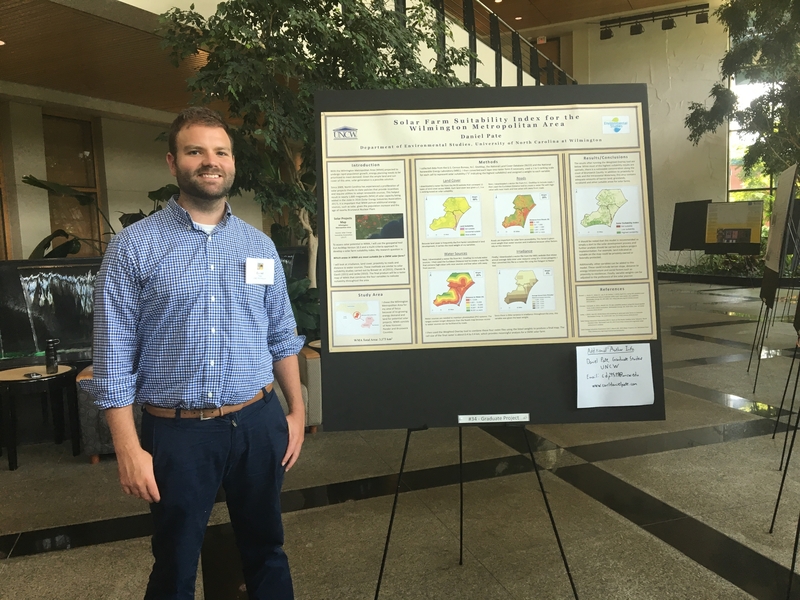 Daniel Pate was awarded 2nd place in the graduate student poster competition for his research using GIS to determine solar renewable feasibility in the Cape Fear Region. The judging panel was comprised of faculty and staff from UNC system schools, as well as professionals in the field of renewable energy. The Summit, and poster competition, was attended by people around the world, including some of the most renowned sustainability and energy experts. UNCW associate professor of Environmental Sciences, James Rotenberg, was awarded a National Geographic Society/Waitt Grants Program Grant to conduct research in Belize. 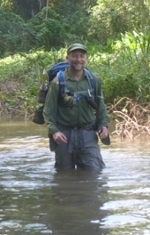 His grant, entitled, “Harpy Eagles, snails, and a sinkhole: discovering how ecosystems work by looking through three unknown portals of the Bladen Nature Reserve, Belize” is the first with support provided by the National Geographic Society/Waitt Grant Program to the Environmental Sciences Department and the second for Rotenberg. To read more, click here. Graduate student, Amy Bradshaw presented at the Environmental Educators of North Carolina (EENC) Conference in Black Mountain, NC. Her poster title was "How Teacher Beliefs around Climate Change Influence Student Understanding." 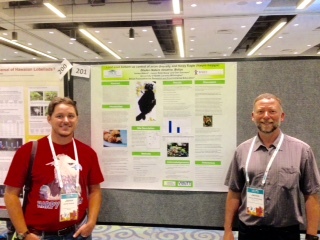 Dr. Rotenberg and James Abbott, EVS alum, presented at the North American Ornithological Conference on August 19, 2016.